Club kicks off process of coming up with a club vision. 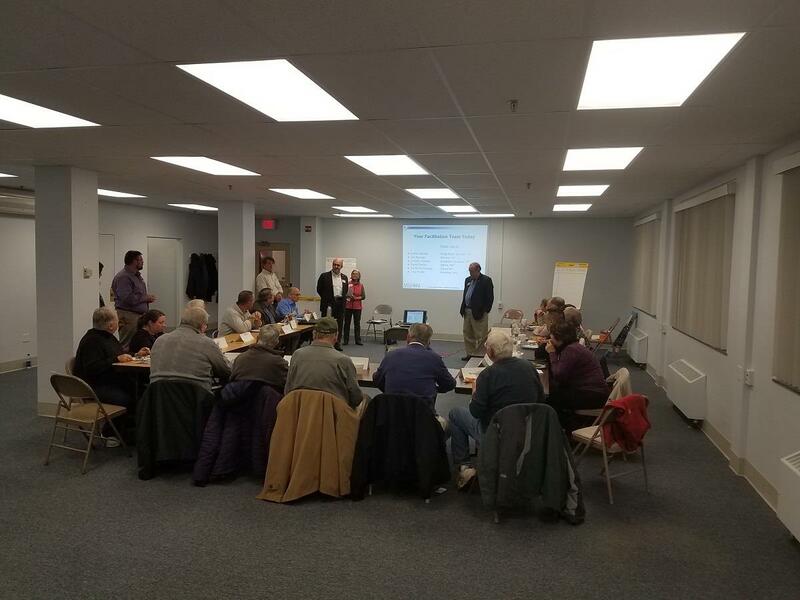 Twenty members of the Rotary Club of Bellows Falls met with a district visioning team at the Greater Rockingham Area Services building in Bellows Falls to kick off the process of defining a club vision on November 9, 2017. Members addressed the question of what the club will look like in five years in eleven areas: what the club stands for; club size; club attributes; club administration; fundraising; vocational service; community service; international service; youth service; Rotary International foundation participation; and public image. After a "judgement-free" session where members were asked "dream big" to come up with ideas for each area no matter how wild, members spent a couple of rounds narrowing their focus by voting on the ideas with blue and red dots. 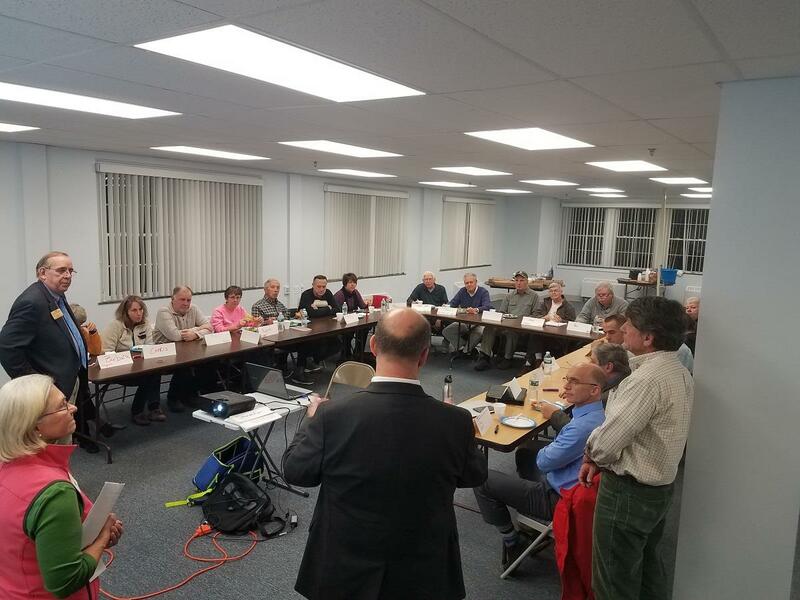 After the voting the district team summarized the results and lead the club in assigning responsibilities for next steps to creating a strategic plan.